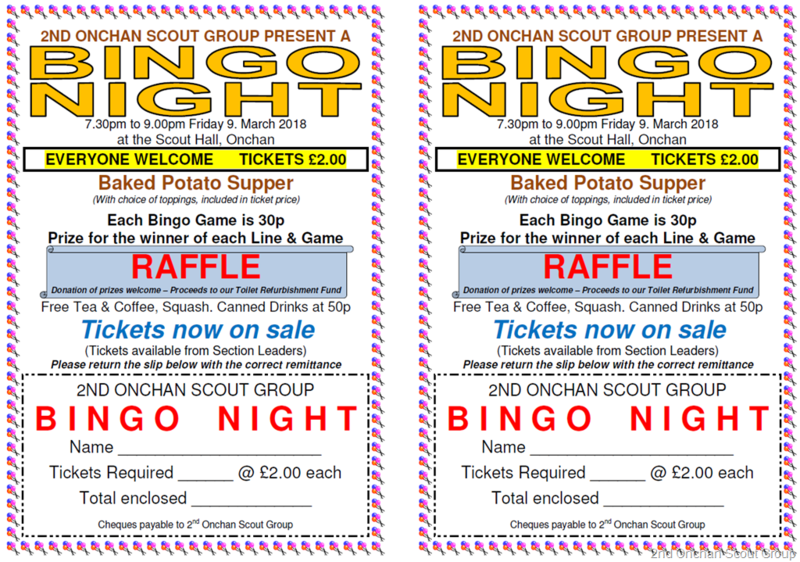 Our annual Family Bingo Night is taking place at the Scout Hall on Friday 9. March 2018 and we hope lots of our members and their families can come along and support this fun evening. Tickets are just £2.00 each and this includes for a Baked Potato Supper. Games are 30p each and we have some great prizes on offer. 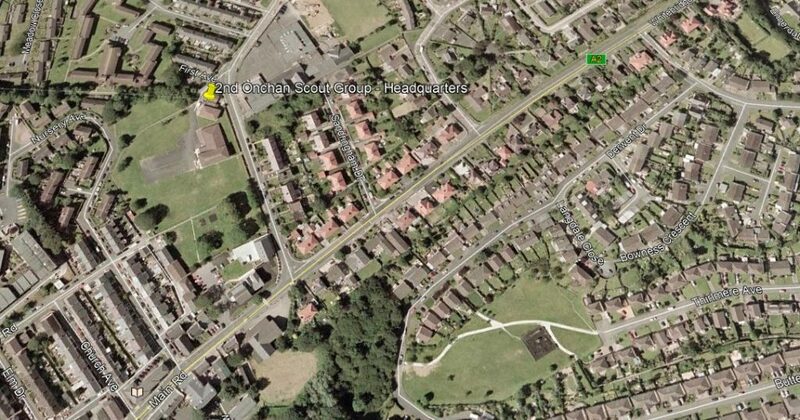 We will also be holding a raffle (donations for prizes welcome). Tickets are now available from all Section Leaders. Please support this event, all proceeds will be going to our Building Refurbishment Appeal. 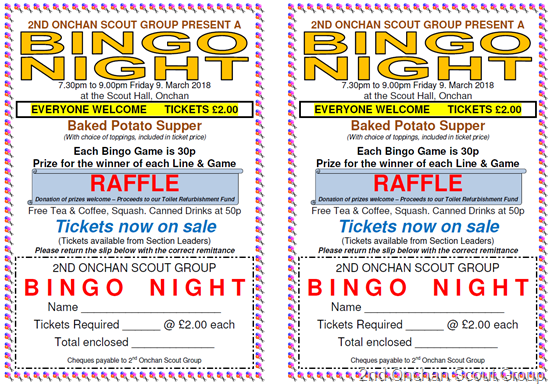 Download the Bingo Flyer here. Tagged Bingo Night. Bookmark the permalink.